My aunt & uncle gifted me a waffle maker for my birthday this year (something I had been wanting for awhile), and I've been itching to pull it out & put it to good use. After recently finishing a Whole30, I wasn't looking for something sweet to drown in maple syrup~ but thought it would be fun to test out something more savory. 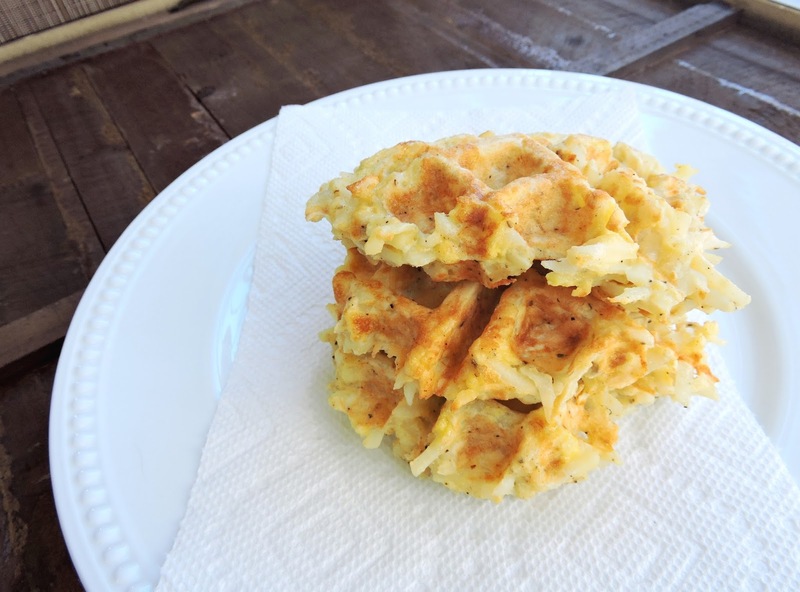 I decided on these "hash brown waffles", and absolutely love how they turned out. I have issues when it comes to cooking regular old hash browns in a pan... They never turn out quite right for me. 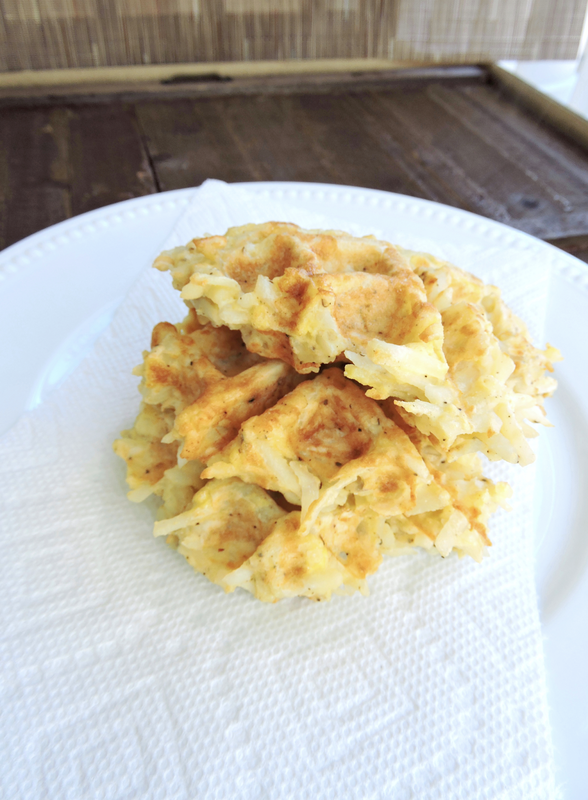 The waffle maker, however, made hash brown life easy. 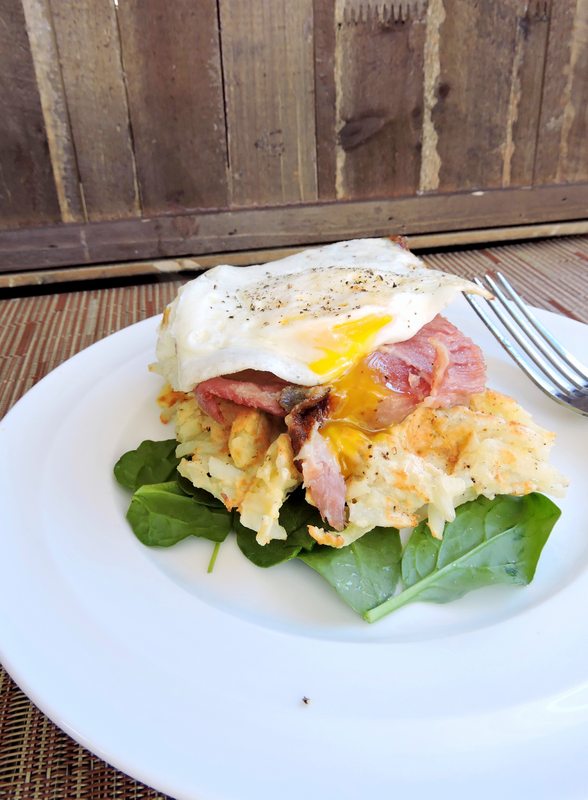 The hash browns look adorable, like fluffy potato-ey waffles... but taste like the perfect hash brown with a soft inside & crisp outside. Seriously the best thing I've ever put beneath a fried egg. Let me know if you give these a try! I think they would be a fun addition to lunch or dinner too. Enjoy! Heat the waffle maker to medium (or just turn it to "on" if yours doesn't have heat settings). Melt 2 tablespoons of butter in a small bowl and set aside. Place your hash browns in a large mixing bowl. If you're working with frozen hash browns, heat them in the microwave for 30 seconds at a time until they are thawed. Add the eggs, coconut flour, and spices to the hash browns, and stir until combined. Brush the waffle iron with melted butter on both sides to prevent sticking. Scoop about 1/2 cup of the hash brown mixture into the center of the iron. Close the waffle maker tight to smash down the mixture. Cook each waffle for about 4 minutes, or until it turns golden brown on the outside. Repeat steps 5-6 until you've made all of your waffles, then enjoy warm! Leftovers store well in the refrigerator. What a great idea!!! I can't wait to try this. I also have trouble with regular hash browns when I make them in a skillet...them seem to take forever to cook. This is brilliant. Thanks, and keep up the good work. Thank you for the kind words! I think you would love these. They're really easy & so tasty! Made these this morning for a Whole30 breakfast sandwich. So easy and delicious! !